Breastfeeding is just not possible for some mothers, that is why baby formula is the next best thing to consider. For rookie mothers, however, the choices in markets in Singapore can be overwhelming, especially with promises of better nutrition, higher IQs and better learning development, and other health benefits. How do formulas differ and what are the things to consider when choosing a formula? 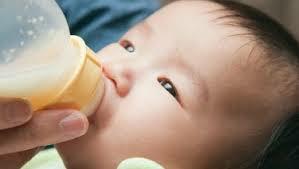 All baby formulas can be classified into three forms; ready-to-use, liquid concentrate, and powdered formula. 1. Ready-to-Use means there is no need to mix or measure the formula, but they must be consumed within 48 hours once opened and they are also more expensive than other formula. 2. Liquid Concentrate needs to have equal parts water and formula when mixing, but it’s cheap and takes up less space when stored. 3. Powdered Formula needs mixing too and has a 1-month shelf-life, but it’s cheap and is easy to store and transport. Once you’ve decided on the form of the baby formula, you should consider the content next. Most baby formula, like most milk, come from cow’s milk, but some babies are sensitive to this type of formula. 1. Cow’s Milk. There are different affordable varieties of cow’s milk sold in markets that are tummy-friendly to babies because they are easier to digest, such as hydrolysate, which has proteins that were broken down for babies who are lactose-intolerant or have allergies. 2. Soy Milk. Instead of cow’s milk, some moms prefer milk made from soy protein for babies with lactose intolerance, allergies, or have strictly vegetarian diet. However, you also have to remember that some babies who are sensitive to cow’s milk also tend to be sensitive to soy as well. 3. Organic Formula. There is some confusion to the label, but organic formula is usually free from traces of growth hormones, pesticides, and antibiotics found in some regular formula. Unfortunately, they’re more expensive than regular brands and have no significant advantages. Some parents also add rice starch to baby formula, but this is only recommended for babies who can already digest solid food. Most doctors will advise you not to go cheap when it comes to baby’s nutrition. Generic formula is easy to prepare and are affordable, but brand names should always be your top choice because companies that specialize in baby formula are tried and tested by several doctors and by experienced mothers. 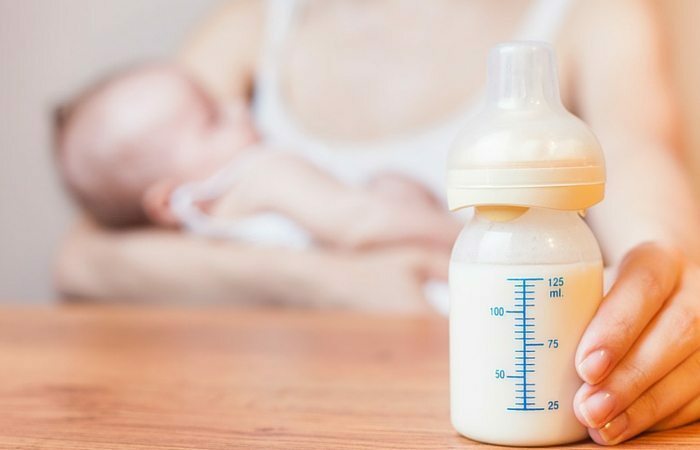 There is a debate about a baby’s ability to digest lactose, because some researchers claim that lactose intolerance at that age is rare, while others say that there are cases where a baby is unable to digest lactose. 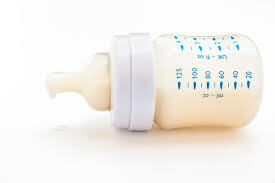 If your baby has problems with the current formula, talk to your doctor about a lactose-free formula. Lastly, the baby’s age should also be considered, because a formula for a newborn is different for babies who are 6 months or older. As a mother, there is nothing more important in this world than keeping the baby healthy and safe. For nine months, you carried him and now that he is out, you are even more protective of him. It is important to stay vigilant to make sure that he is well taken care of. Before his coming, you probably secured his crib, pillows and toys. There are many selections of cribs here in Singapore but if you want to ensure his safety and comfort, you have to research. You have to determine which cribs work and which do not. The key here is to take it simply. Keeping it bare as much as possible can make a difference at the end of the day. What do newborn babies only need? There are only two and you should not stray away from that. This is an old technique to soothe and calm babies. It envelops a baby which can help him sleep better. Swaddling blankets are helpful because it can prevent the baby from startling because of random movements. The good news is that swaddles are readily available. When choosing swaddling blankets, always consider the weather. Ideal blankets include breathable and lightweight cotton. Now comes the washing of the blankets. Newborns have sensitive skin therefore careful washing should be considered. When washing the blankets, the first thing that you have to ensure is the laundry detergent and fabric conditioner. Make sure that they are dermatologically tested. Now that he is cosy and warm, it is time that you choose a comfortable mattress. Remember newborns can’t say whether they are comfortable or not, you will just know if they cry. It is crucial that you choose a comfortable mattress because he will spend most of his time sleeping. He will spend most of his time in the mattress and keeping it comfortable can help his growth and development. 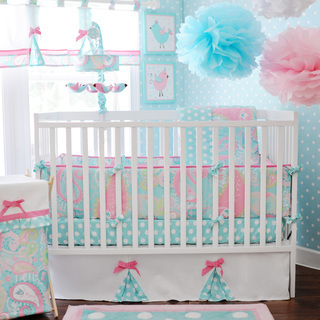 When choosing a mattress, you have to make sure that it can support your baby’s weight. You have to look for thick mattress with puncture-resistant cover. It should be secured with organic cotton. If you are worried about being too hard, you can maximize a washable and tight fitting mattress. Remember that your newborn doesn’t need much and keeping it simple is the key. Let him sleep peacefully without the presence of irrelevant things like stuffed toys, pillows and crib bumpers. Let him have all these things when he is a little bit older. As of now, he just needs all the sleep that he can get.